Sundance Curiosities: What's With All the Retitling and Retreads? Eli: I look like the Unabomber. A surprisingly good time (despite it's lack of promotion)! 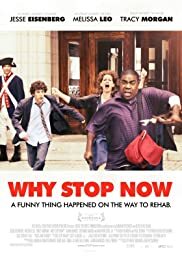 Jesse Eisenberg, Melissa Leo and Tracy Morgan star in this comedy-drama film about family love and addiction. It was written and directed by freshman feature filmmakers Phil Dorling and Ron Nyswaner and is adapted from their 2008 short film 'PREDISPOSED' (which also featured Melissa Leo in the same role). It tells the story of a piano prodigy trying to get his drug dependant mother the help she needs and move on with his life. He ends up at odds with her former drug dealer who he also ends up helping. The film is well written and acted and is a surprisingly good time (despite it's lack of promotion). Eisenberg plays Eli Bloom, a very talented piano prodigy who works as a supermarket clerk and lives with his drug addicted mother, Penny (Leo), and kid sister Nicole (Emma Rayne Lyle). Eli has been helping his mom out with Nicole and not pursued his own ambitions so when an audition to get into a well respected music conservatory comes up he jumps at the opportunity to take it and move on with his life. First he wants to get his mother the help she needs though and schedules her an appointment at a local rehab for drug abuse. Eli has a weekend drinking problem himself (which is something I can relate to) and gets trashed the night before his audition, embarrassing himself in front of the girl he likes (Sarah Ramos). His mother is rejected from the rehab center as well due to the fact that she pisses clean and has no insurance. A nurse (Jayce Bartok) informs her if she gets high and pisses dirty he can admit her so Eli and Penny go to Penny's drug dealer 'Sprinkles' (Morgan) for drugs and Eli ends up helping him translate with his supplier (Paul Calderon) in order to get the drugs they need. The film had a limited theatrical run last August before being dumped on video with little to no publicity. Having seen the film now I have a hard time understanding why. I was expecting a poorly executed dumb comedy but instead found it extremely enjoyable. Eisenberg is one of my favorite actors and he doesn't disappoint here. He's relatable, funny and gives the film the right amount of heart that it needs. Melissa Leo is always good as well and makes a likable yet flawed mother once again here. I'm not a fan of Tracy Morgan at all and was expecting him to ruin this film but he's likable as well. In the right role, when he's not overacting, he's actually pretty good and he's funny and likable here for a change. For me the movie was nicely directed and just hit all the right notes. I probably enjoyed it more because I had such low expectations but it is a good film.